A tenured reporter, hockey insider, and writer with 20 years of experience in TV and radio, who recently moved to Toronto full-time, Rob Simpson is in charge of all program development for Sports Access on AMI-TV across Canada. He is also a correspondent and guest-host on SiriusXM NHL Network and provides live TV coverage of international hockey events as a reporter on networks in Canada and the USA. In 2009 he hosted the Cisco All-Access Pregame show for the NHL Network during the Stanley Cup Final. Rob also spent four years with the Boston Bruins as their rink side reporter. 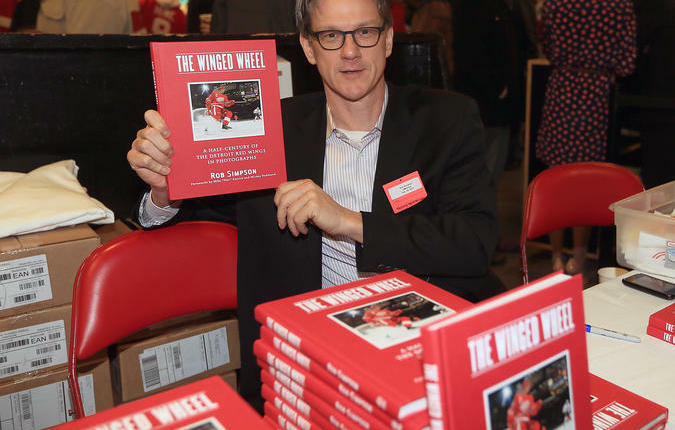 As an author, he penned “The Winged Wheel – A Half Century of the Detroit Red Wings in Photographs”, “Between the Lines – Not So Tall Tales from Ray ‘Scampy’ Scapinello’s Four Decades in the NHL” and “Black and Gold – Four Decades of the Boston Bruins in Photographs”. The former host of “NHL Live” in New York, his 30 years in the broadcasting business started when he was a teenager, giving him a breadth of knowledge and connections that are rivaled by few in the industry.